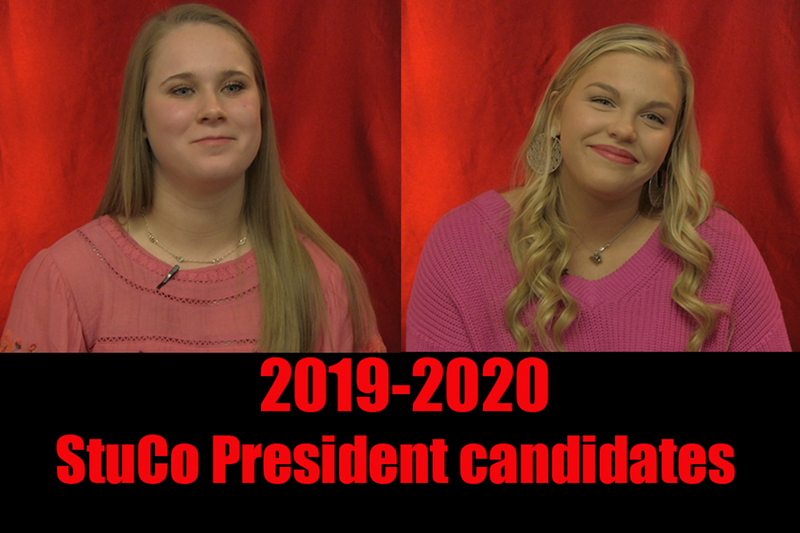 For the 2019-20 school year, presidential candidates have started campaigning for the election that will begin on Thursday, April 9, 2019. Voting will close on Friday, April 12, 2019 at 4:15 p.m. The era of senior Student Council president Wade Glover is coming to a close as the candidates for 2019-2020 are campaigning to replace Glover. On Thursday and Friday, students will be casting their votes for one of two juniors: Emma Hancock or Rileigh Horcher. In their own words, each candidate shares their vision and why they want to be the next StuCo president. Wingspan: What are your goals as student body president? Wingspan: What sets you apart from the other candidate? Wingspan: How would you help better foster school spirit?